I have a CLX-6220FX printer purchased in France but I want to buy toner from a UK business as I want a UK VAT receipt. Will your brand product of four cartridges be suitable for a machine bought in France and, if so, please can you advise me on the cost of delivery to France? Do you have a weight for the four cartridges? Thank you, Iain Thomson. Unfortunately, we don't deliver to non-UK countries. Also, our compatible Samsung CLX-6220FW toner cartridges are only designed for use in UK model printers so they wouldn't work in a CLX-6220FW printer bought in France. Do the replacement toners for the 6220FX Samsung printer have a chip that correctly shows remaining toner levels or the one that shows as full all the time? We've been informed by the manufacturer of our compatible Samsung CLX-6220FW toner cartridges that these cartridges will show the toner levels. The first part of the toner is estimated using a counting system and an optical sensor is used to detect the remaining toner level until the cartridge is empty. Can I buy compatibles for this machine? Are they available in the UK? Can I buy compatible Samsung CLX-6220FX toner? We do not currently stock any compatible cartridges for use in the Samsung CLX-6220FX printer and are unable to comment on their availability within the UK. However, if and when compatible Samsung CLX-6220FX toner cartridges do become available we will update our website accordingly. Are you worried that replacing your Samsung CLX-6220FX toners might set you back a fortune? You'll not need to spend lots to get high quality Samsung laser toner cartridges on Cartridge Save. Using us, you do not need to spend your time searching local shops for what your laser printer needs. Purchasing with Cartridge Save will mean you'll be able to economise and get satisfaction with the very best service. Have total peace of mind if you purchase replacement Samsung CLX6220FX toner with us because of our company's rock-solid thirty day refund promise that is standard . We make it easier to spend even less money on toners as each order comes with totally free delivery, which normally gets delivered on the next business day! 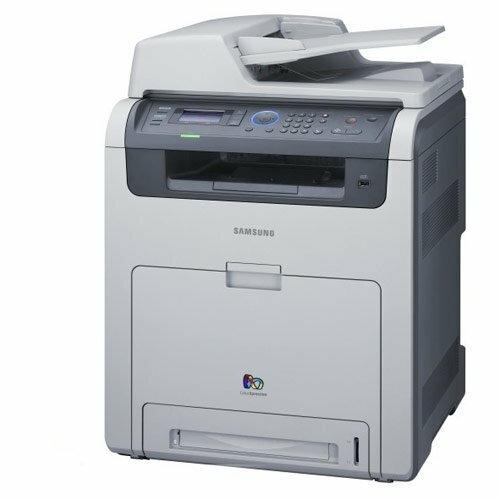 The Samsung CLX-6220FX is a multi-function colour laser printer, scanner, copier, and fax machine designed for the office work-group market. It comes with a variety of features designed to make an office environment as productive as possible, including a fast first print and page per minute speed, a high level of colour management customisation, and a Samsung CLX-6220FX toner saving mode that will let an office set up toner limits to save money. Networking is designed to plug into an existing office network with ease and comes ready to start supporting IPv6 when it rolls out. The CLX-6220FX prints and copies at 20 pages per minute with A4 sheets and has a print resolution of an effective 9,600 x 600 dpi. Copies have a range of resolution options, and the majority of this printer's functions can be used without a direct link to a computer due to the ability to plug a USB key directly into the device for printing and saving scans. This machine comes with a duplexing that works with an automatic feed and has a duty cycle of 65,000 pages per month. A second cassette feeder is available as an option, along with extra memory beyond the included 256 MB. This printer has a great resolution and a feature set that makes it perfect for any office that needs a reasonable amount of colour and black and white printing, scanning, or copying per month. The price is comfortably in line with similar printers from other manufacturers, and the choice of standard or high capacity Samsung CLX-6220FX cartridges, extra cassettes, and RAM upgrades make this printer a dependable option for growing with a business's needs. The Samsung CLX-6220FX is a new, future technology oriented printer. While this will work quite well for some office environments, offices that haven't upgraded to recent computers or operating systems may have issues with some of the features and capabilities. Multi-function can be useful for the right people as well, but the large range of options and capabilities will make this printer more complicated than a simple laser printer for people who don't need the extras.